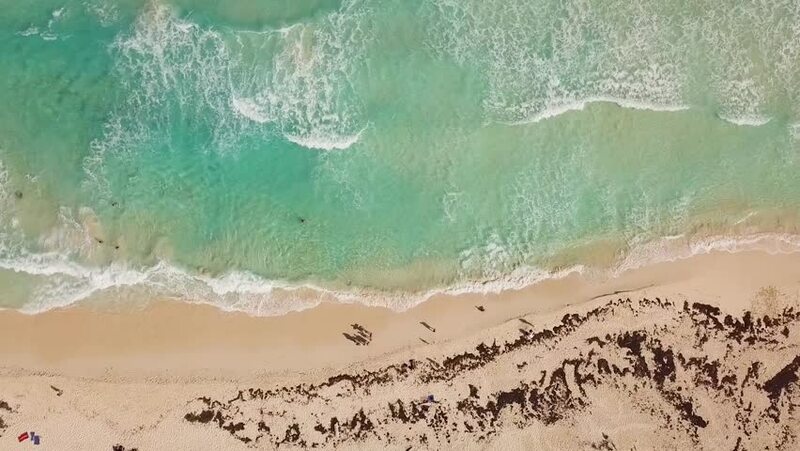 Aerial view looking straight down on a semi-crowded beach as waves crash on the east coast of Cozumel Mexico. Flying right to left. 4k00:14Top-down aerial shot tracking left along the coastline, showing of the beach and the vibrant blue ocean with waves constantly breaking on the shore. 4k00:13Aerial flight over the ocean from the beach to the open ocean. 4K Ultra HD. Miami, Florida. hd00:18Ghost crab along the coast phuket, thailand.